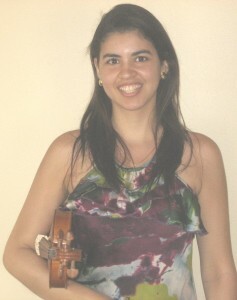 Maria is a graduate of the music conservatory in Puerto Rico. She has a gentle, yet firm, approach, with attention to detail, and an approachable personality. She is comfortable teaching students of many backgrounds, and particularly adept at teaching younger or beginning students. In addition to her teaching duties at C4A Maria performs with the Danville and Kankakee Symphonies and she is certified to teach Alexander Technique.